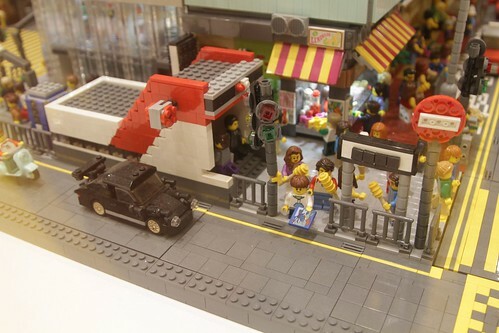 Over the years I’ve stumbled upon a number of Hong Kong scenes recreated in Lego. 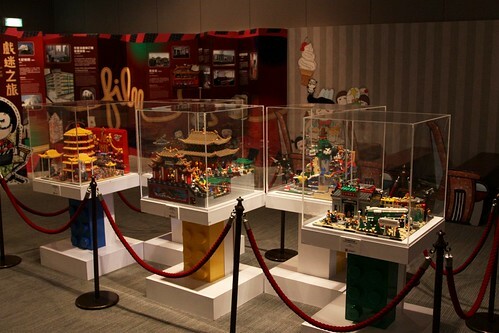 Back in 2010 this collection of Lego scenes from the “Lego Architects – Features of Hong Kong” competition was on display at the Hong Kong Heritage Discovery Centre in Kowloon Park. 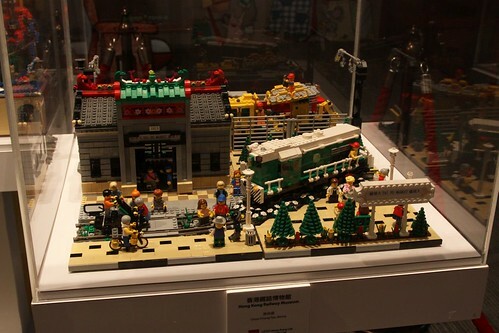 The first scene to catch my eye was a Lego model of the Hong Kong Railway Museum. 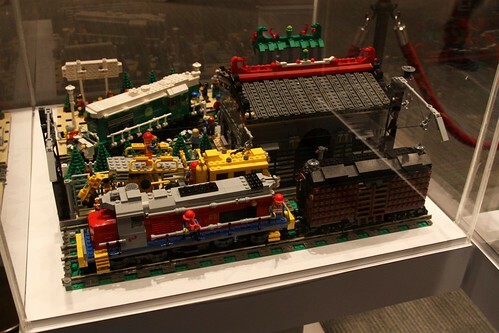 Created by Benny Chow Chung Yan, it featured a pair of KCR diesel locomotives and an array of museum visitors. 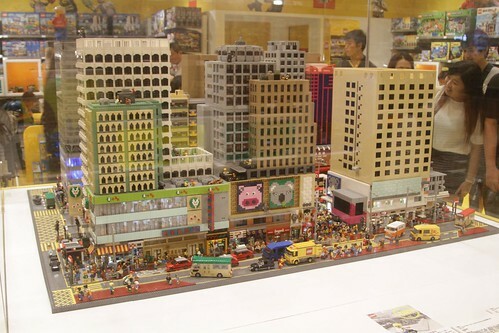 Alongside was a model by Tsang Yiu Keung titled 香港魅力之都 (“The Capital of Glamour in Hong Kong”) featuring trains, trams, boats, a cable car and a roller coaster! 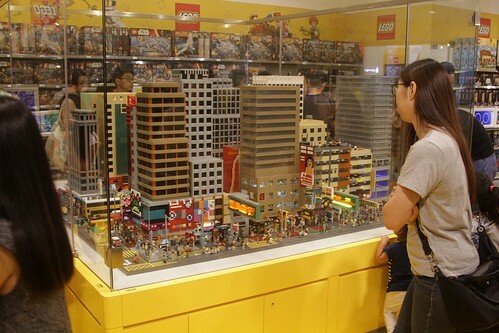 However the Lego Store located at Langham Place has an even larger Hong Kong scene – a two block section of Mong Kok. The footpaths are crowed with shoppers. As double decker buses make their way down Nathan Road. There is even a staircase down the MTR station on a street corner. 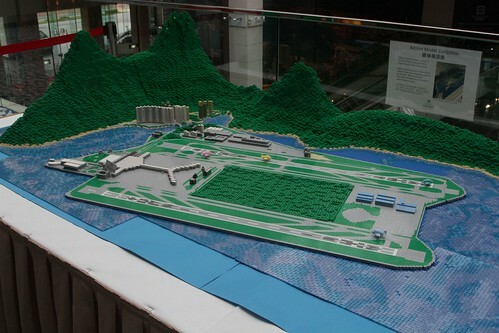 The final Lego model I found was at the Regal Airport Hotel, next door to Hong Kong International Airport. 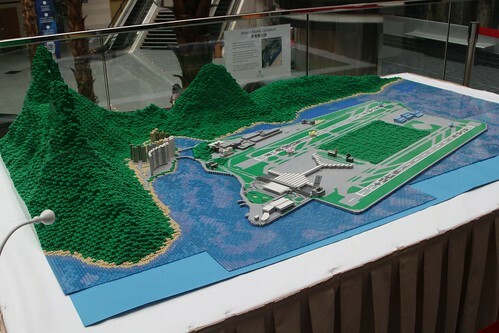 The airport is centre stage, with the New Town of Tung Chung and the mountains of Lantau Island forming the backdrop. 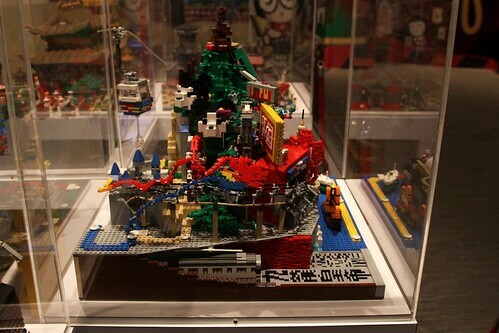 Full set of Lego Architects – Features of Hong Kong competition entries. 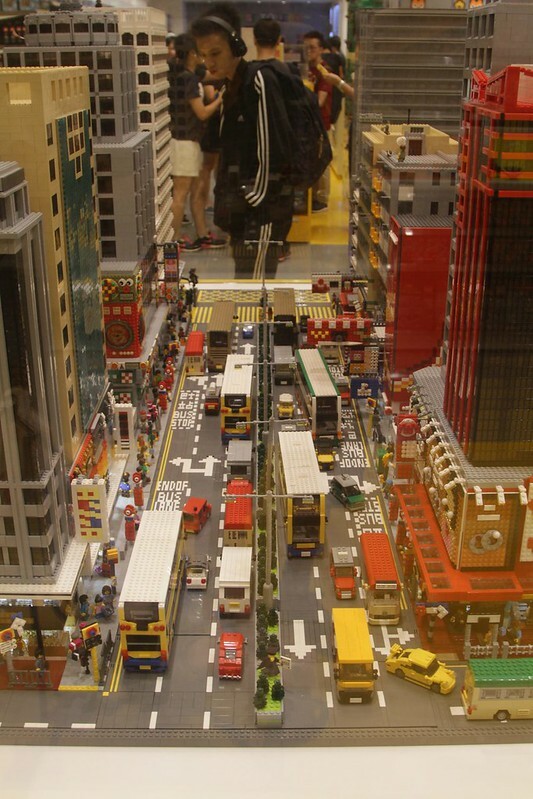 This entry was posted in Tourism and tagged Hong Kong, Hong Kong International Airport, Hong Kong Railway Museum, Lego, Mong Kok, Nathan Road. Bookmark the permalink.